What’s up everyone! 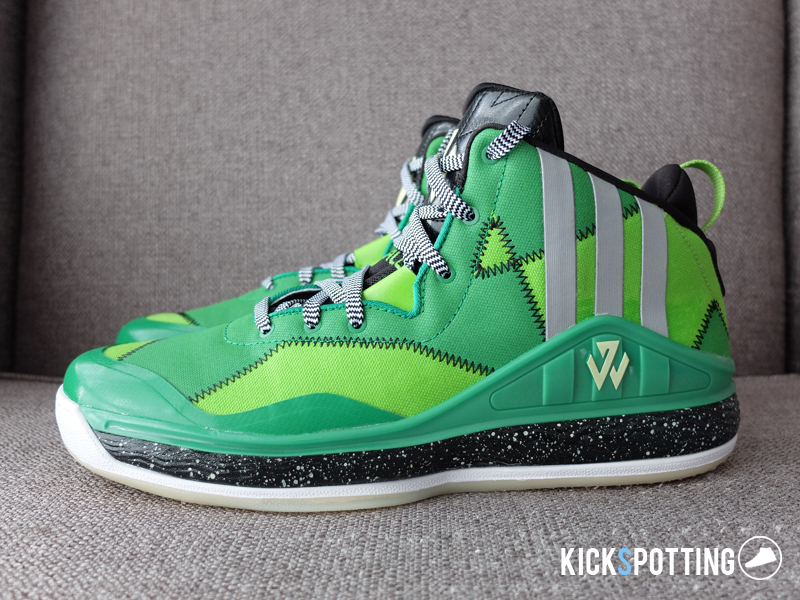 We’re starting the year with this performance review on the new Adidas J Wall 1. John Wall has been on beast mode all season and it’s only fitting at Adidas gave him his first signature line. As you’ve seen from our earlier post, Adidas PH and Titan hooked us up with the J Wall 1 ‘Bad Dreams’ colorway during the Titan Trial Runs a few weeks back. Personally, it’s one of the best colorways of the shoe so far, using a different style and materials overall. With that, let’s get right to it! 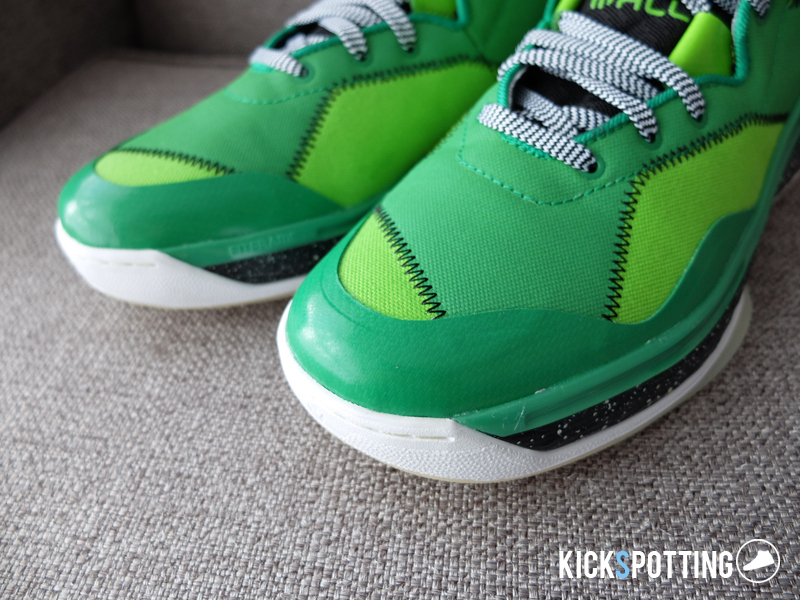 The ‘Bad Dreams’ colorway features a green canvas upper that look like patches put together with black stitching. 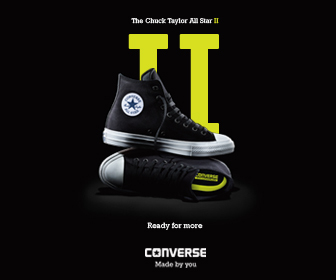 The original colorways featured a mesh upper that’s a little more different and more ventilated. 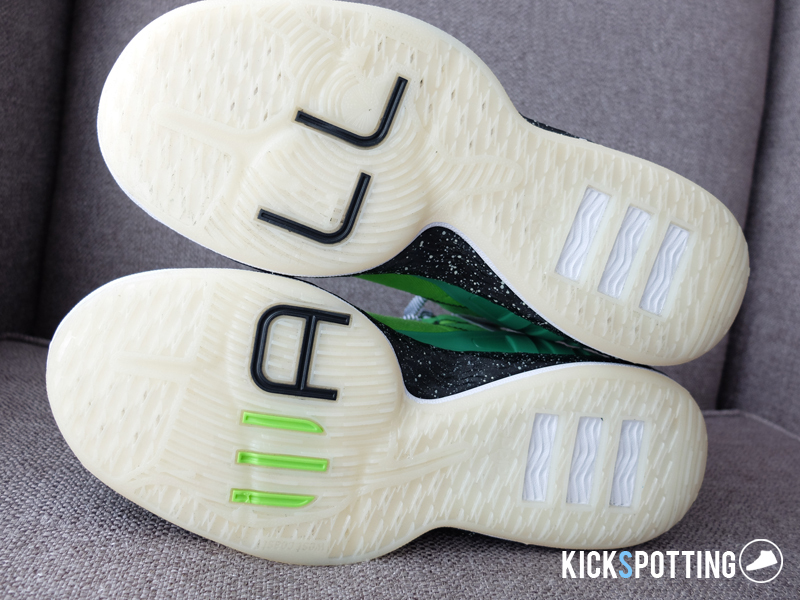 You’ve got the vertical 3 stripes in silver and a black speckled midsole that really works well with the green. 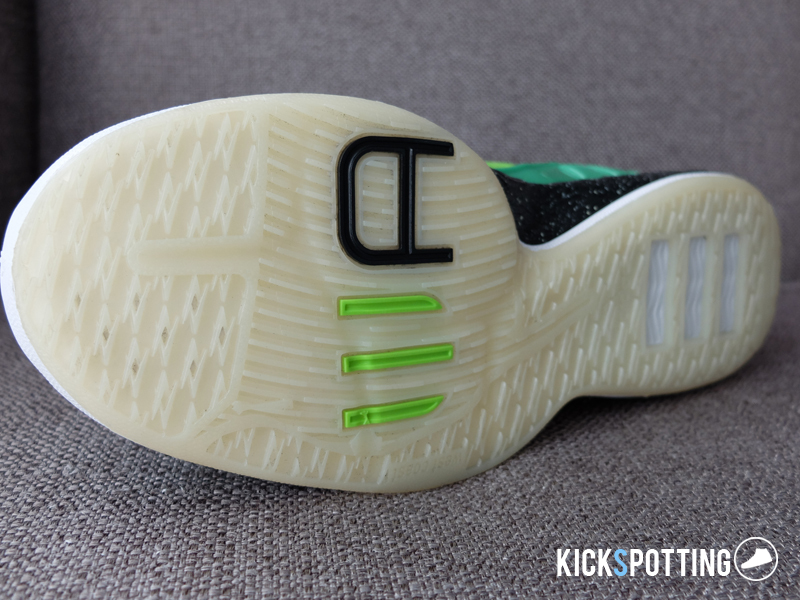 And finally the highlight of the ‘Bad Dreams’ pack is the glow in the dark outsole and other parts of the shoe. I really like how Adidas put this one together. The J Wall 1 features full length adiprene+ midsole cushioning and right off the box I thought it just felt ok. It was a little stiff but not too hard. On court, the cushioning on the heel felt great and had a bit more padding compared to the cushioning on the forefoot. The forefoot didn’t feel as responsive as I would like but it was decent and I didn’t really have any issues with aches and pains on my foot. I think it need a little break in time and it just felt better after more runs in them. They fit true to size. It felt a little narrow for me around the midfoot, which is how I feel with the other Adidas hoop shoes as well, so I got a half size up. Other than that, overall fit was good. The FitFrame wraps around the shoe from the heel up to the forefoot and I could really feel this lock down on my heel which felt good. This helps keep your foot locked in during side to side movements. There’s a midfoot inner loop in the lacing system that also adds to the overall fit and support. You can lace them up real tight if you really want to feel that hug around your foot. I also liked the canvas upper which moves around well with your foot without restricting it, compared to the sprintframe on the Drose which felt stiff. Most of the J Wall colorways feature Air Mesh which is light and more breathable so I don’t think this will be an issue on this shoe. The ‘Bad Dreams’ version uses canvas which is a bit thicker and doesn’t have as much open vents but overall I think it’s still better than a shoe heavy on fuse-like material. Didn’t have a problem here and I didn’t feel any hot spots. 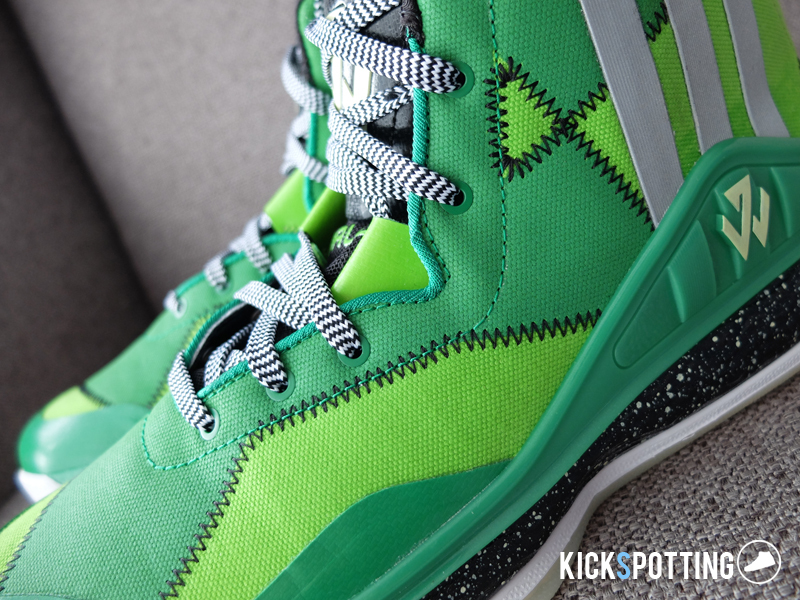 The J Wall 1 has one of the most unique patterns and stories behind its outsole design. It features a map of the USA with his name ‘Wall’ written across the left and right pair. This unique pattern, on court, does a decent job. I didn’t feel any issues with slipping on any of my runs but I also didn’t get that added grip that I wanted. Just keep them clean and away from dusty courts and you’ll be fine. The main support comes from the fit. The FitFrame provides lockdown on your heels all the way to the midfoot which keeps your foot from moving during lateral movements and quick cuts. You’ll really feel that support around the heel area and I liked it. 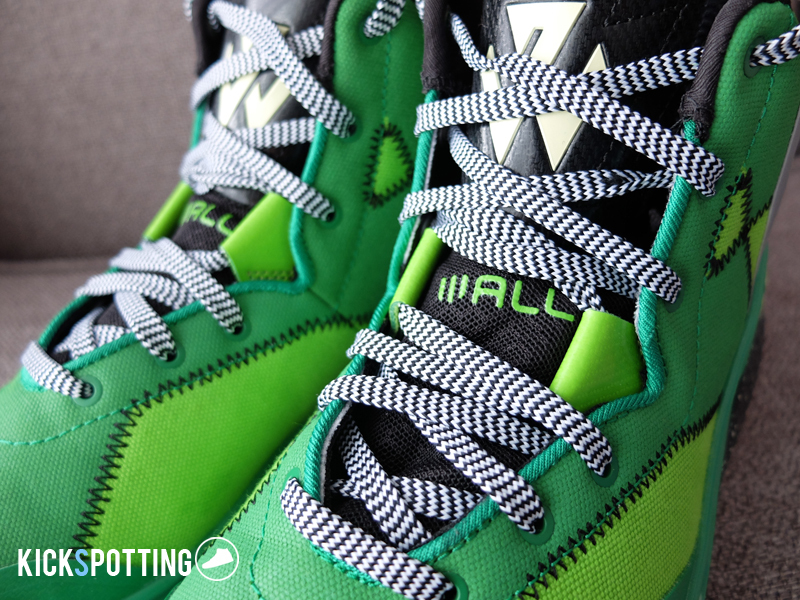 Additional lockdown support is provided by the lacing system and the inner lace loop. The top part of the shoe, if you lace them up real tight, adds to the support and keeps your foot in place around the ankles. The FitFrame also adds stability and torsional support to keep your foot in place at all times. 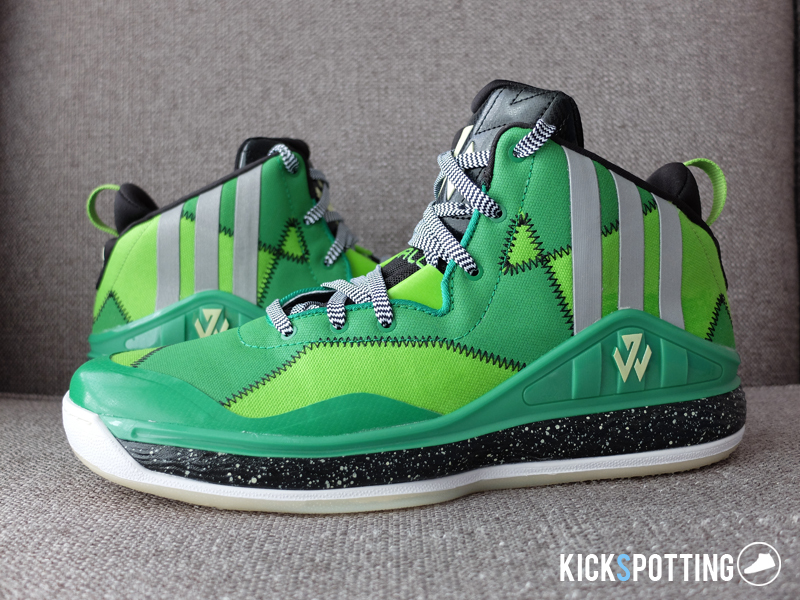 Overall, the Adidas J Wall 1 is a good everyday hoop shoe that gets the job done. It’s light, has good support and fit, and has a decent price for signature line. Adidas has been on the comeback trail in hoop shoes and bringing out the J Wall 1 is definitely puts them on the right track. Grab your pairs now at Adidas stores and Titan branches around the metro for P5,995. 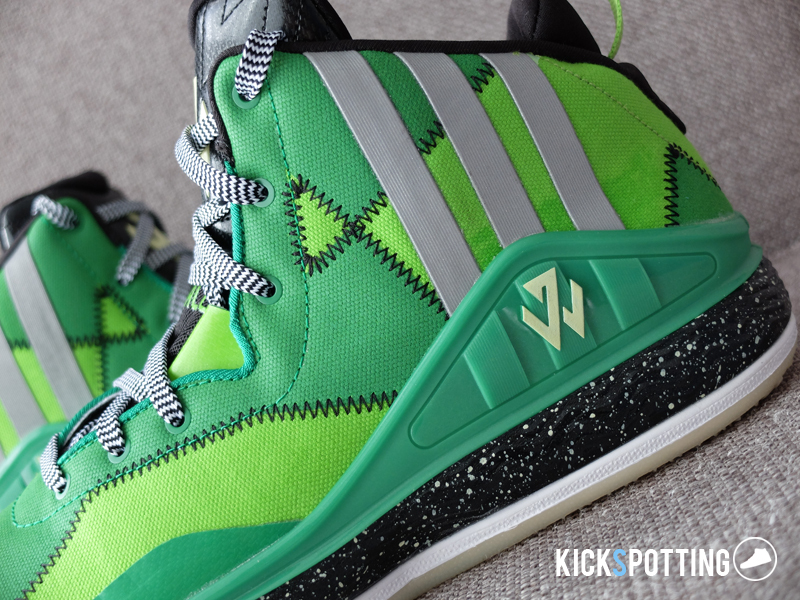 J Wall's first signature shoe is worth hooping in. With that price tag, it's hard to pass up on it. Light, supportive and can fit most types of players.